Belgian player gets 4th place at WCG! Great news for the Belgian E-sports scene: Laurens Geenens managed to beat Styla (former World Champion) in the Fifa World Cyber Games competition and got a very nice 4th place. This is the best achievement for Belgium in the 9 years our country has competed. 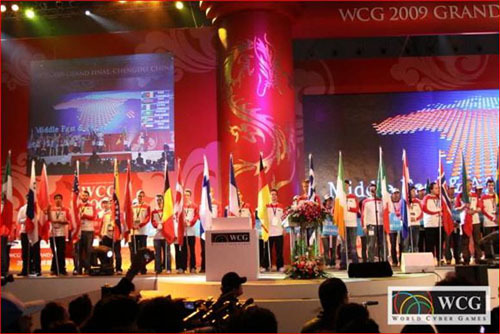 Laurens was the only Belgian send to WCG this year and he managed to get the best results of the whole Benelux crew. Thankfully, Laurens didn't have to go home empty handed, on top of his trip to China he got a cheque of 2500,00USD . Next stop for Laurens is the International e-Sports Federation tourney in South Korea! Hopefully he can grab a medal this time. Good luck Laurens! And don't forget: Laurens is a member of the LowLandLions team (sponsored by Gamegear.be) and you can still win a free gaming lesson with Laurens! Check out http://www.gamegear.be/read_more.php?newsid=203 for more information.